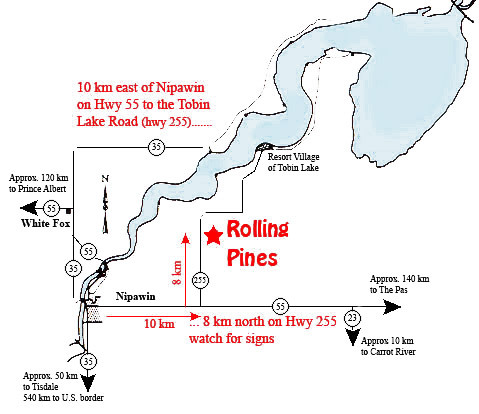 Rolling Pines Golf is located halfway between Nipawin and the Resort Village of Tobin Lake. Both locations offer excellent camping facilities, rental cabins, motels and hotels. Tobin Lake offers boating, hunting, hiking and world-class fishing.